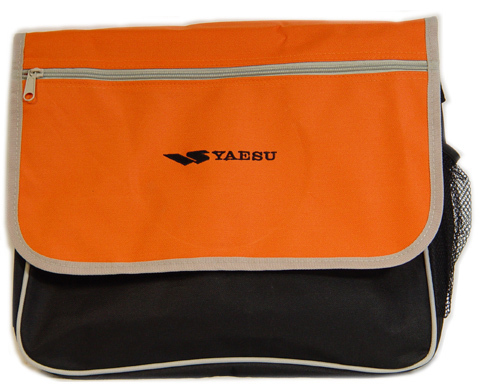 This black/orange Urban Canvas Carrying Case is large enough to carry a variety of items including radios such as the FT-817 and FT-817ND. 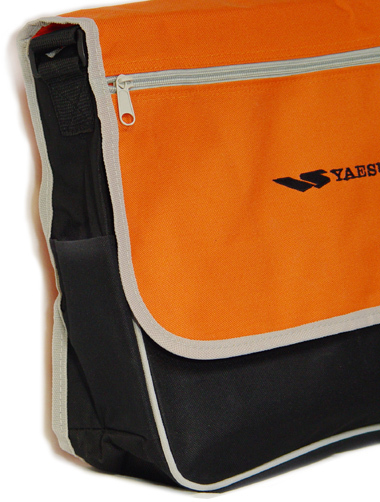 With shoulder strap, and flap pocket, plus one web side pocket and one regular side pocket. With Yaesu logo. Approximate size is 15 x 12 x 3 inches. Made of unpadded canvas. This is not a Yaesu product. This black/orange Urban Canvas Carrying Case will be included FREE with your purchase of a new FT-817ND from Universal Radio for a limited time. This product may also be purchased separately.